Everybody understand that Moscow is suffering heavily from pathos...to see one in real, look not further from paranoid schizophrenic assasin who seats atop of Kremlin(man who drove and continues drive whole world insane incl. Russia for the price of own $$$ pocket). 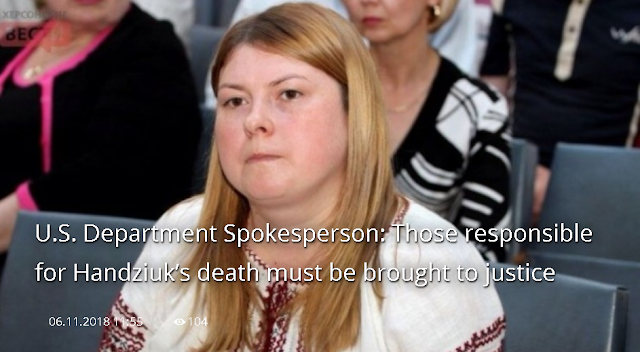 U.S. State Department Spokesperson Heather Nauert stated that attacks on Ukraine’s civil society must stop and all those responsible for the death of activist Kateryna Handziuk must be brought to justice. The Embassy of the United States in Ukraine posted this on its Twitter page. “The U.S. extends its deepest condolences to the family and friends of Kateryna Handziuk. Attacks on Ukraine’s civil society must stop. Those responsible for ordering and committing this horrific attack must be brought to justice,” the Embassy cited Nauert as saying. 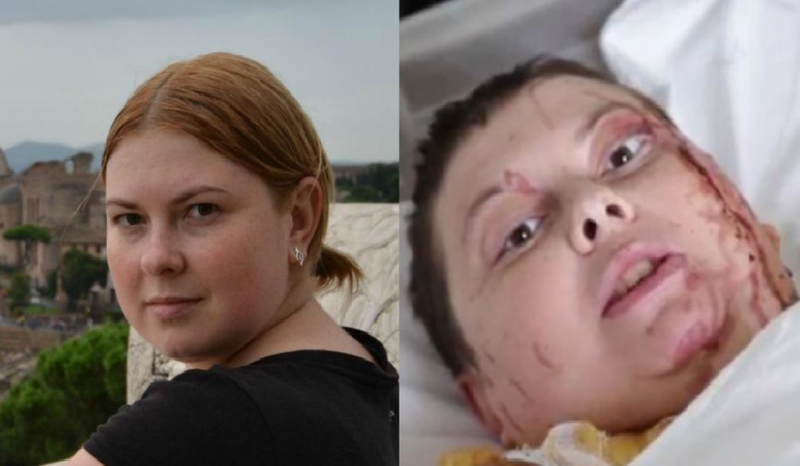 As Ukrinform reported, a well-known activist, volunteer, member of the Kherson City Council, Handziuk, who had sulfuric acid thrown in her face on July 31, died at hospital on November 4. According to preliminary reports, the reason was a blood clot. The woman was 33 years old.